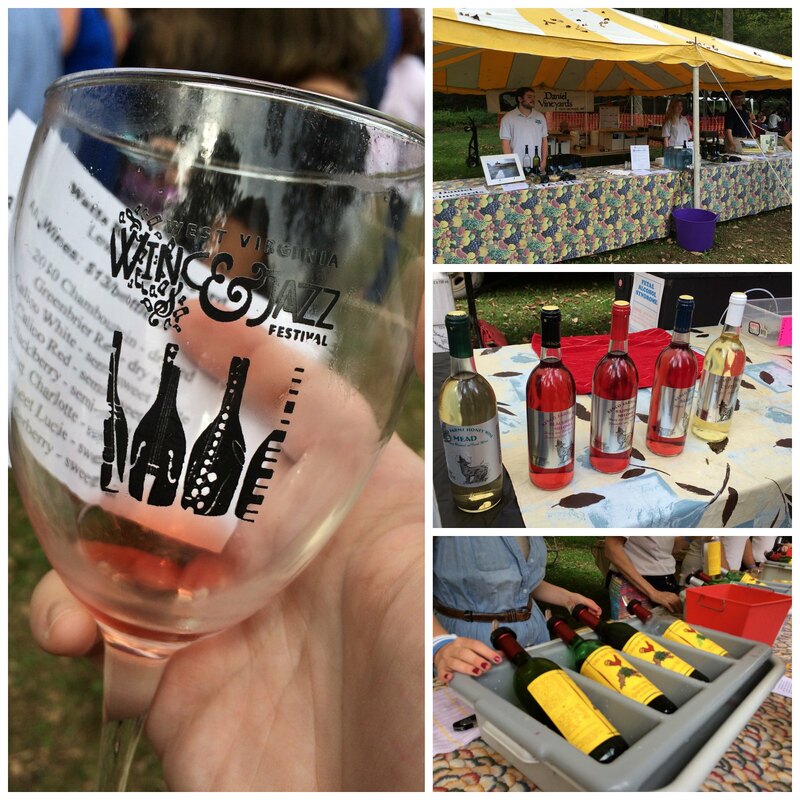 Wine & Jazz is my favorite Morgantown festival. There aren't many, but this is perfect. It's a shady spot out at Camp Muffly. 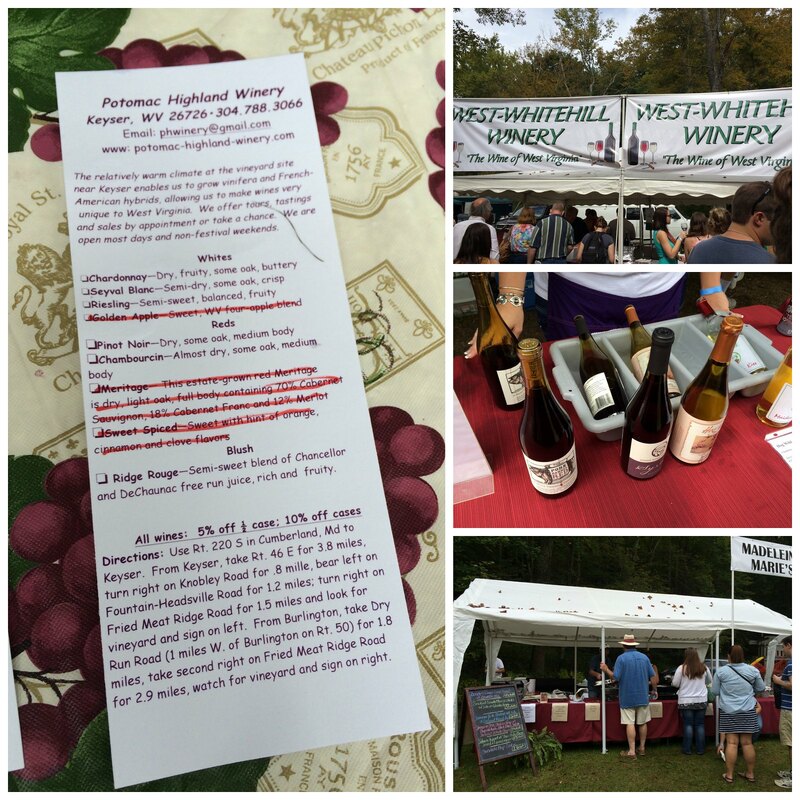 It's $20 for unlimited samples of all the wineries: Daniel Vineyards, Watts Roost Vineyard, Forks of Cheat Winery, Lambert's Vintage Wine, Potomac Highland Winery, West-Whitehill Winery, and Heston Farm Winery. Plus a keepsake glass and bottle opener if you want to have a bottle right there while listening to the jazz. Lots of food vendors, too: Madeleine Marie's, Russ' Ribs, Lambert's Pizza, Chico's Fat, Garcia's Latin Market, Jersey's, Ramada Inn, Slight Indulgence. Madeleine Marie's, as I found out, is actually the catering company in Forks of Cheat. 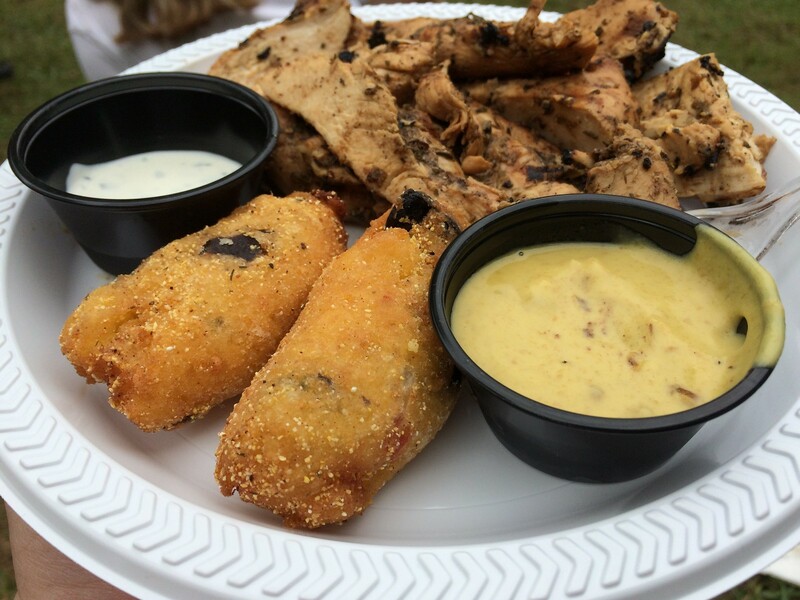 I had jerk chicken, with peanut sauce, and smoked gouda cheesesticks there. The chicken was great; the cheesesticks were a tad mushy, but still tasty overall. I'm a fan of sweet - but not too sweet - whites. Or sweeter reds. And semi-sweets. Favorite wines: Always Forks of Cheat. Bad Cat is one of my favorites. Also, all the fruit ones. 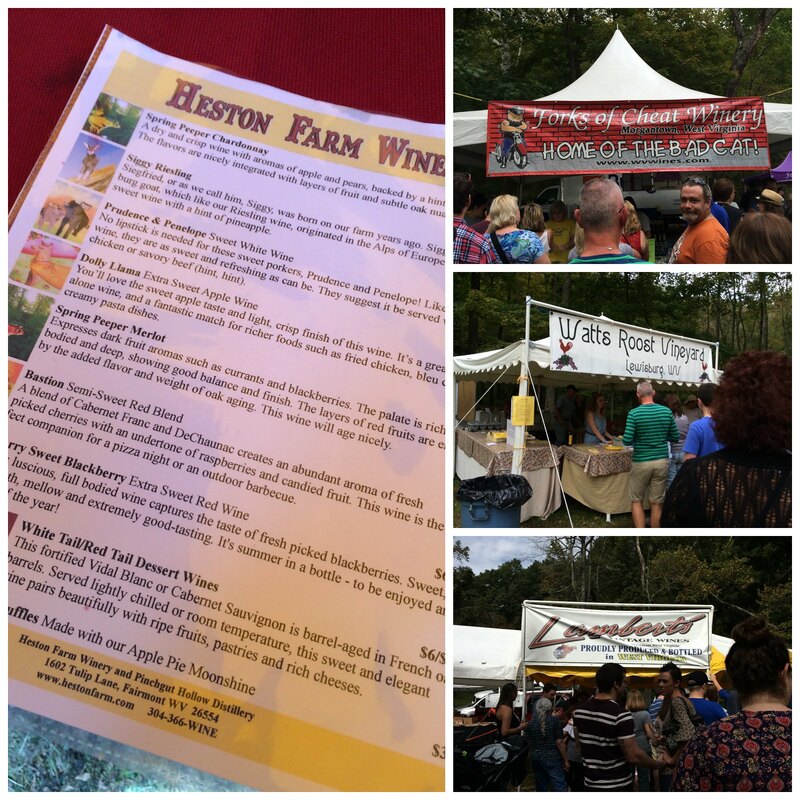 I also liked Heston Farm Winery a lot. They have cute names for each wine named after farm animals. Vicki was a fan of their Bastion. I liked Prudence & Penelope. West-Whitehill is a new-ish one to me. I liked their semi-sweet Aurore Blush. Potomac Highland Winery had a nice riesling. Also a new winery to me. Lamberts Winery is one I really want to visit because it's not too far. A few favorites for me were their symal and the fredonia. Watts Roost is one I actually have been to - love their Sweet Charlotte and Sweet Lucie. Daniel Vineyards had our favorite blackberry wine. I'm already excited about next year. Who's going?